At least 2,210 adult white sharks currently live off Australia's coast with an adult survival rate estimated at 90 percent, according to a study released on Friday. Due to the elusive nature of species, the organisation for Industrial and Scientific Research of the Commonwealth of Australia (CSIRO) based its report on the genetics and statistical method without having to physically catch or see a shark. According to the CSIRO research, there are about 750 adult white sharks on the eastern coast, from a possible range of between 470 and 1,030, and some 1,460 sharks on the southwestern coast. At least 2,210 adult white sharks currently live off Australia’s coast with an adult survival rate estimated at 90 percent, according to a study released on Friday. Due to the elusive nature of the species, the Organisation for Industrial and Scientific Research of the Commonwealth of Australia (CSIRO) based its report on a combination of statistical and genetic methods without having to physically catch or see a shark, reports Efe news. 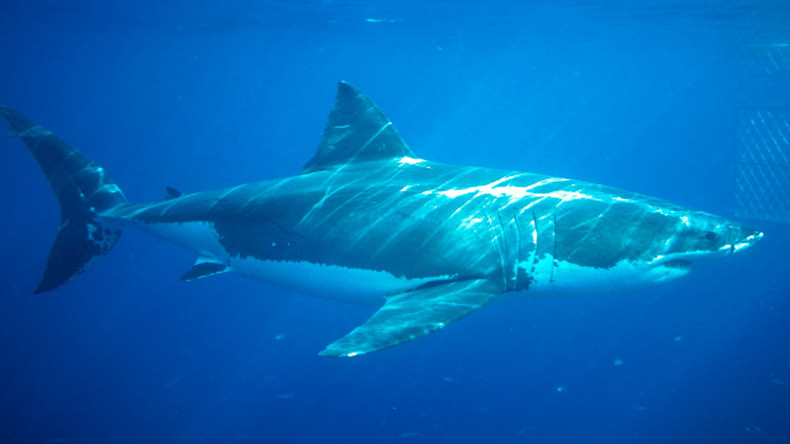 There are two white shark populations found in Australia; one living off the eastern coast, ranging from Victoria in the southeast to Queensland in the northeast and across to New Zealand; and the other living off the southwestern coast of Western Australia. According to the CSIRO research, there are about 750 adult white sharks on the eastern coast, from a possible range of between 470 and 1,030, and some 1,460 sharks on the southwestern coast, with a possible range from 760 to 2,250.Experts indicated that the adult population of white sharks has remained stable since shark protection measures were implemented in the late 1990s.To determine the number of white sharks, scientists analyzed DNA samples collected from juvenile sharks to find the genetic marks related to their progenitors. Out of the 214 juveniles from the eastern population of which DNA samples were collected for the research, 70 sharks were found to share a parent, allowing the scientists to estimate the size of the adult population.”The chances of any two juveniles in a population sharing a parent depending on how many adults are around to share the job of reproduction,” said Richard Hillary, lead author of the study.”In a small population, more juveniles share a parent than in a large population,” the expert said. A thorough estimation of the southwestern population has not yet been concluded due to the lack of direct estimates of juvenile survival rates, a key piece of data obtained by tagging a relatively high number of juvenile sharks.